BEAUTIFUL HOME! Located in a lovely neighborhood with no HOA this home & lifestyle are sure to please even the pickiest buyers. 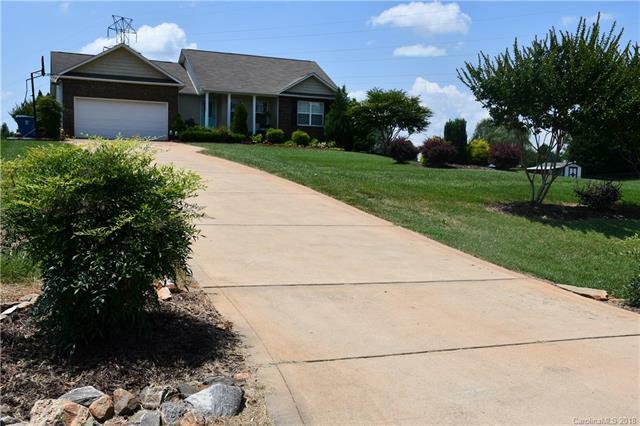 Spacious 3/2 home with .93 acre lot and 2 car garage. Richly landscaped with low maintenance shrubbery and trees. Spectacular outdoor living area that includes a private in-ground pool with two fountains and a fire pit. A world away for the tranquil, quiet oasis that it is. This home is made for spending quality time with family and friends. Within minutes of schools and shopping.Stainless Steel Fridge, storage bld & Wicker Chairs don't convey. Outside fireplace, custom pool volleyball net, custom pool solar blanket, picnic table, front porch chairs, washer & dryer are all negotiable. There is a timed irrigation system installed and owners are willing to leave it and train new buyers on how to use it. Refrigerator in garage stays. MBR and 2nd BDR painted 7/21. Front door painted 7/21 and garage floor will be painted prior to close.